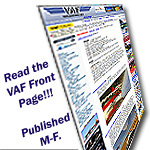 It has been reported in VansAirForceForums that your new MS80-430 Blue Epoxy Floats for Rotax 912 Bing 64 carburetor stick on the float bowl vertical guideposts and don’t control float level correctly. Do you offer lifetime warranty against fuel absorption and weight change? In other words, do you guarantee that your floats will not succumb to long duration exposure to both Avgas and 93E10 auto fuels? Do you also guarantee that float level is correctly maintained when using your new floats? I don’t want to purchase your new floats and discover same problems as Bing floats in a couple of years. Thanks Jim, looking forward to their response. I am sending you a pair of my heavy floats today. I find it crazy that this is happening. Even more crazy is the fact that Bing could charge money for replacements after some users have only had them for a few hours. This seems like it should be easy for Bing to resolve and at no charge as they clearly have sold a defective product. A gas float that absorbs gas and no longer floats? I am still early in my build so hopefully this will get resolved so by the time I buy my powerplant I won't have the issue. We'll give them a few days and then call them on the phone. They do answer the phone? My engine came with 861 182 floats in 2015. Per Service Bulletin I replaced them 10/2016 with 861 184 (2 dots) before ever running the engine. After a smooth first flight in 9/2016 I found fuel dripping onto the floor under the left carb. Left float pair weighed 7.21 g, right pair weighed 6.70 g. Replaced all four with 861 185 (3 dots), each weighing 2.79 g dry. Engine began starting rough after about 20 months and 140 hours in 93E10 gas. Did annual insp. a few weeks ago at 24 months and 160 hours. Found evidence of long-term leaking from left carb inside cowling. Floats were resting firmly on bottom of float bowl and weighed 6.64 and 5.62 g each. I am surprised the engine didn't run worse. Right carb floats weighed 3.47 and 3.63 g and seemed OK. Replaced all four with new design 861 188 floats at $300. Have fingers crossed. I have a lot of faith in Marvel-Schebler based on several decades of owning factory airplanes with MS carbs and never any mention of float issues. But it seems my engine won't tolerate floats weighing much over 7 g per pair, the limit that the Rotax manual suggests. Can't convince myself MS floats are OK based on what several of you are reporting. I want to. Are these just VANS phenomena’s ? Are engines around the world are having similar issues and is Bing fast tracking fixes? Or is this like the Vans voltage regulator rectifier configuration phenomena ?